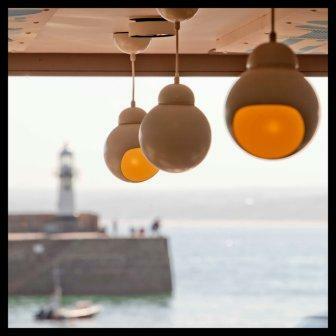 Absolute Design has completed the interior of the new PizzaExpress restaurant in St Ives. It was the Falmouth agency’s fourth commission for the national chain, having previously created interiors for eateries in Bath, Cardiff and Truro. Maritime references abound in its latest project, and creative director Helen Blake explained: “We needed to create a contemporary harbourside space that wouldn’t be crudely overt in its treatment of the key themes and would also engage repeat business.